By Gary Gamble May 16, 2015 July 2, 2015 RANTS / tv / upcoming releases to watch out for . Fans of the Evil Dead series were thrown into a frenzied shock when Sam Rami and Bruce Campbell broke the news that they are in the process of bringing one of the most iconic characters in horror movie history back-to-life. Not only that, but they’re giving him his very own TV show – Ash Vs Evil dead. 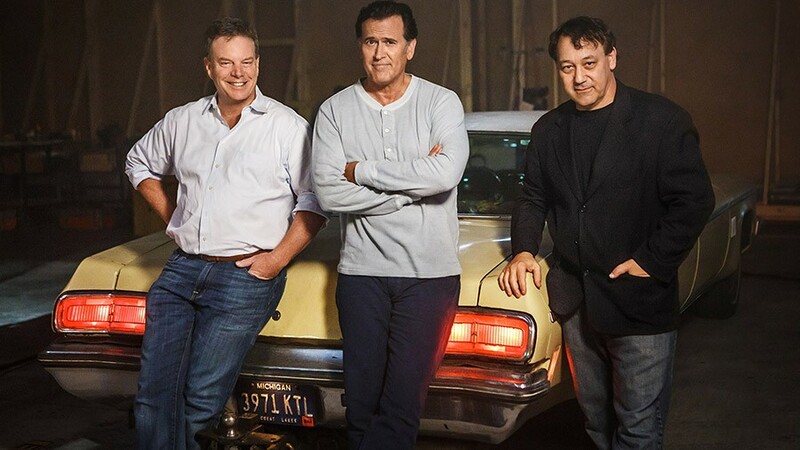 Ash Vs Evil Dead is currently shooting in New Zealand and is due to air its first episode towards the end of the year. It will feature ten half-hour episodes. In a recent interview I watched with, Campbell, he said that they have already got 5 seasons written. So, if the show is as popular as we all thinks its going to be, then we can expect to see, Ash, cutting through a hell of a lot Deadites. Not long to go now folks before we get a proper trailer. Personally, I am that excited I don’t think I’ll be able to handle it.! The time has arrived folks, I have two brand new teasers to show you, that features Ash with chainsaw They aren’t very long, but trust me, this is one of the finest moments in cinematic history. Starz have released the first pic of of Ash from Ash Vs Evil Dead. 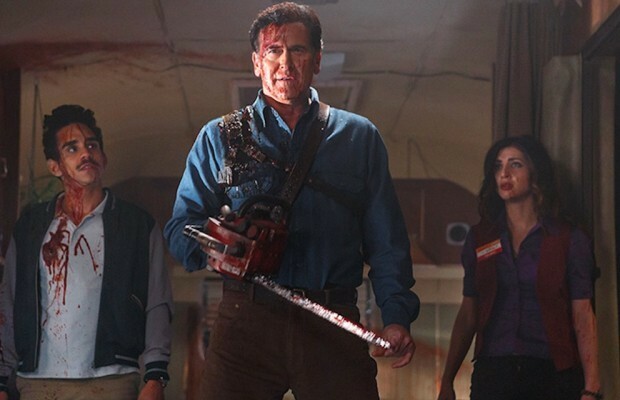 This one pic is the pic that we have all been waiting for, the one Evil Dead pics that proves to us all that Ash is back in full swing, and has got his trusty chainsaw back to help carve up those deadites. Ash is back baby!!! RANTStvupcoming releases to watch out for .